Why is tennis still a man’s game? Despite it being one of the better known sports for women, tennis is consistently bogged down with sexism and discrimination issues. Or ‘again this year too’. It’s never easy being a female athlete, regardless of the sport; even in 2016, women are still regarded as inferior when it comes to sport and physical activity in general. Wimbledon is not exempt from these issues and within the first week of this year’s tournament, numerous grievances regarding the way the female tennis players were treated had been expressed. To begin with, two aspects of the BBC’s coverage of the women’s games were criticised. The broadcaster’s governing body recently revealed a “startling disparity” between the number of men and women’s games broadcast last year, to the extent that on one day, 93 per cent of airtime was dedicated to the men’s tournament. It also found that the BBC’s coverage of the first week of Wimbledon last year was three times more likely to feature men than women. One viewer complained that the broadcaster showed “unacceptable levels of gender bias against the women’s game” – a claim which the BBC Trust rejected. The Trust has however called on the BBC to “give a higher profile to women’s matches” and said that “viewers had every right to expect the BBC would start from the basis of equality between male and female players”. Venus Williams spoke out against the gender bias at this year’s Wimbledon after she was scheduled to play on a court much smaller than normal. To make matters worse, the BBC has also been accused of ‘leering’ at female tennis players during its coverage of Wimbledon this year. Viewers called out the ‘sexist’ footage on social media, claiming that slow motion replays were focusing on the women’s crotches to reveal what they were wearing under their dresses. Shockingly, the Wimbledon organisers have reportedly admitted in the past that the “attractiveness” of female players is taken into account when putting the schedule together and deciding who will play where. Clearly, this is something that would never be considered for the men’s matches. 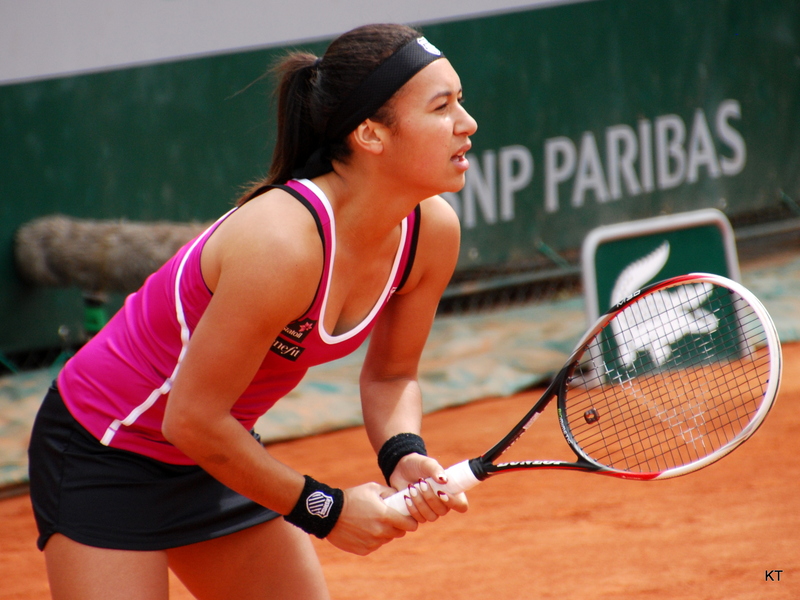 Female tennis players also face a lot more abuse than their male counterparts, and are constantly scrutinised and berated over their bodies and physical appearance. Serena Williams, ranked World Number One in women’s singles tennis, has been a victim of this throughout her career, often receiving sexist, racist and body-shaming messages, and has spoken out against it on numerous occasions. In a speech at last year’s Sports Illustrated “Sportsperson of the Year” ceremony, held in her honour, Williams said: “I’ve had people look down on me, put me down because I didn’t look like them – I look stronger. “I’ve had people look past me because of the colour of my skin, I’ve had people overlook me because I was a woman, I’ve had critics say I would never win another Grand Slam when I was only at number seven – and here I stand today with 21 Grand Slam titles, and I’m still going”. British player Heather Watson also faced appalling abuse on Twitter after being knocked out of Wimbledon in her first match, with one user saying: ‘that Heather Watson wants to go on a crash diet or she’ll win f**k all…hardly recognised her there…size of a bus #fatso’. Watson also sadly admitted that she checks social media after a bad performance to punish herself by reading people’s nasty comments. And who could forget Indian Wells tournament chief Raymond Moore’s infamous sexist comments earlier this year, in which he claimed that the women’s tennis game “rides on the coat-tails” of the men. He went as far as to say that female players “should get down on their knees” and “thank god that Roger Federer and Rafael Nadal were born, because they have carried this sport”. Djokovic then added fuel to the fire by claiming that while Moore’s remarks weren’t “politically correct”, he thought that the men should get more prize money because more people watch their matches. There has (only) been equal prize money in all four major tennis tournaments – the US Open, Wimbledon, Australian Open and French Open – since 2007, and combined Masters events including Indian Wells and Miami also pay the same amount to male and female players. Rightly, Moore resigned following his outrageous comments and Djokovic was heavily criticised for his, but their outbursts highlighted how deeply ingrained sexism and discrimination against women in tennis is. I have only picked a few examples from most recent times, but these issues date back to the very beginning of the sport. And although some progress has been made, the criticism surrounding Wimbledon alone shows that there is still a very long way to go before there is an equal playing field for men and women – both in the literal and metaphorical sense. Serena Williams summed it up perfectly after her recent semi-final win when a journalist said, “There’s talk about you going down as one of the greatest female athletes of all time”. She replied: “I prefer the words ‘one of the greatest athletes of all time’.